It's the big game, the one everyone has been waiting for ...you know that one! Who are you rooting for? Falcons or Patriots? No matter the team, people like to show where their support lies. Whether in signs, clothes, cups, coozies, or accessories. 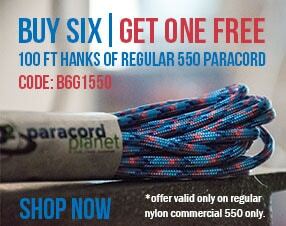 There are many ways you can show your team spirit, but showing it with paracord is one of the best! You could make bracelets, necklaces, and keychains. Even coozies, pot holders for your dips, or mug handles. The bracelet on the right is a Jagged Ladder. Click the image for a tutorial on it. 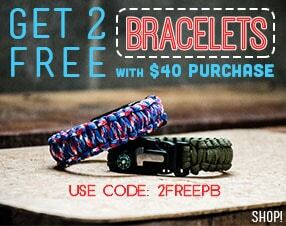 The bracelet on the left is simply a cobra weave with gutted cord forming the laces of a football. For more crafting ideas visit paracordparty.com! What did you make for your team?